A priest in Scotland has been removed as a university chaplain after he held a service to atone for the “gross offence” of a gay pride event. Source: BBC News. Fr Mark Morris had tended to the spiritual needs of students at Glasgow Caledonian University. However, university bosses said his views were at odds with those of the educational institution. A statement from the Archdiocese of Glasgow said it was aware of the university’s decision. It added that it would address the “provision of chaplaincy support in due course”. 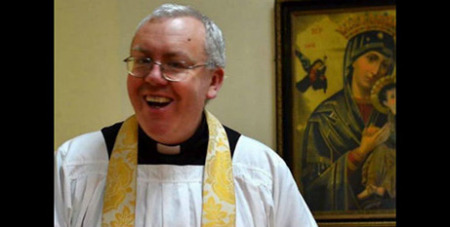 The decision to remove Fr Morris came after he held a prayer service at the Immaculate Heart of Mary Church in Balornock which sought “reparation for the gross offence to God which is Pride Glasgow”. Thousands of people attended the annual LGBT gathering in the city on Saturday. Its parade was led by Scotland’s First Minister Nicola Sturgeon. Glasgow Caledonian University’s principal Pamela Gillies said: “Following due consultation, Fr Mark Morris will not return to his chaplaincy role at the university in September. “The university will work with the Archdiocese of Glasgow to ensure the continued provision of chaplaincy support for staff and students at our faith and belief centre when the new term starts. The university’s Catholic society said it was “extremely disappointed” at the move, the Catholic Herald reports. “It is frankly abhorrent that a Catholic priest would be dismissed from his post as a Catholic chaplain for merely reaffirming the teachings of the Catholic faith,” the GCU Catholic Community said. “It seems that Glasgow Caledonian University have a very warped understanding of ‘Equality and Diversity’, whereby they have permitted absolutely no diversity of opinion whatsoever. We are very sad to see that the opinions and beliefs of Catholics are not valued or respected at the university chaplaincy,” they added.